After building a relationship of trust with a customer and selling them a Vivint system, dealers may now be the ones to install the service and equipment. Why has this new program become available? Due to the massive amount of residential areas and the lack of sufficient man power from Vivint to meet every demand, our dealers will be able to reach new areas where current Vivint resources cannot. More homes and more families will be blessed by the expanded footprint. It's another way for our dealers to increase their revenue. Not only will they keep earning income from making the sale, but now they'll be able to earn even more by getting more homes installed with the best home automation and security services in the market. It's exciting to think of how far our dealers will be able to take this program. We've been looking at making this happen for a while now and it's time to spread the news! If you're thinking of hopping on board as a Vivint Authorized Dealer to do both sales and installations, below are some of the basic things you can prepare to come across. If you're representing the Vivint brand and in a position of trust when working with people and their homes, it makes sense to go through a background and drug check. We need to make sure we maintain the highest level of trustworthiness. Expect to be thoroughly educated and trained on how to do any installation from start to finish. Vivint offers a variety of automation and security devices to allow customers to customize their systems for their individual needs. It's best to check with your local city, county and state requirements to meet their expected standards of conducting business in the home automation and security industry. Since it varies by location, you'll want to do your homework to know all of the necessities. Having an official identification badge is required, so expect to go through that process. Vivint also needs to give the green light before any sales and installations happen. Be ready for a final approval process to take place. Your designated market area (DMA) needs to be defined, which consists of a list of zip codes where you plan on doing installations. Your installation orders will stay confined to your DMA. This list is by no means comprehensive, but we wanted to give you an idea of some of the things you'll need to accomplish as you get up and running as a Vivint Authorized Dealer. It's a pretty simple list, nothing too surprising. If you'd like to get the ball rolling on doing installations with the Vivint Smart Home program, reach out to us here at RS&I. 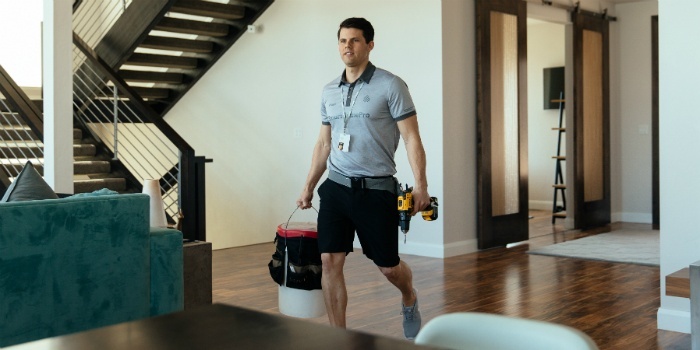 We're a master sales agent and distributor for Vivint and we are able to provide you with all the tools you need to get going.